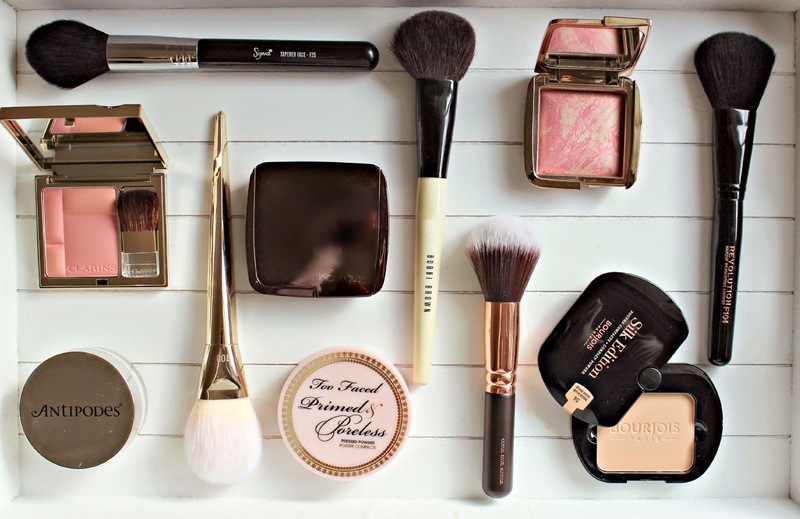 After getting some really lovely feedback on my post about Perfect Pairs for Foundation Brushes, I thought I would do something similar for the powdered products which I use, including Blushers, Highlighters and Powders. Once again, I’ve chosen some budget brushes and mixed in with some more expensive options so there’s something for every budget! Hourglass Ambient Lighting Powder & Sigma Tapered Face F25 Brush: When using highlighter, you want to be selective where you apply it, as opposed to swirling it all over your face, so I use the Sigma brush with my Hourglass powder because the shape of the brush enables precise application so I only get the powder exactly where I want it. Hourglass Ambient Lighting Blush & Bobbi Brown Blush Brush: Having tried to find this exact brush online, and failing, I think it may now have been discontinued but this brush has the perfect shape if you like to contour slightly with your blush; its elongated shape lets you swipe the blush instead of creating a rosey cheek look, and the dense bristles pick up plenty of product. I use this brush for all my blushers, including the Clarins Illuminating Cheek Colour which also is highly pigmented, so it’s always worth testing blush on the back of your hand so that you don’t risk looking like you’re permanently blushing! Bourjois Silk Finish Powder & Makeup Revolution Pro F104 Powder Brush: The Bourjois product comes with an applicator sponge which is perfect for touch ups on the go, but when I apply the powder in the morning I use a brush to get a lighter finish, and the Makeup Revolution brush which picks up the perfect amount of product with its rounded edges, and it’s super soft too! 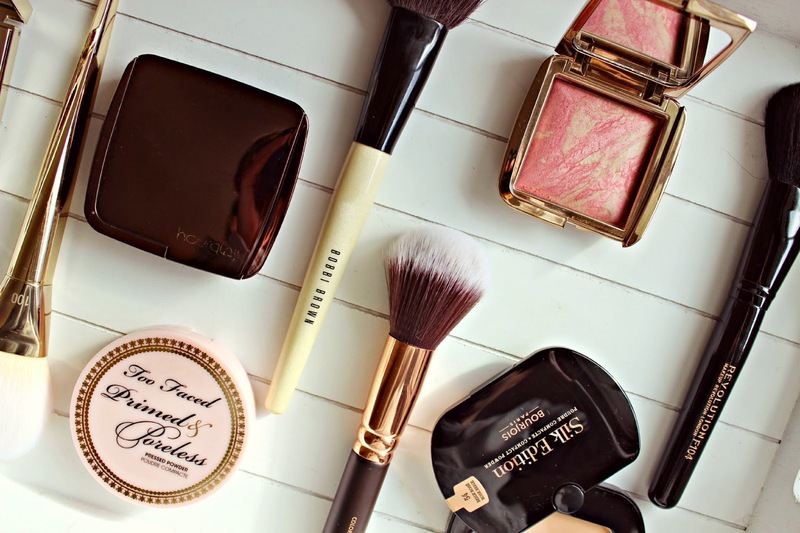 The brush is just £3.75, and the Bourjois powder is under £10 – the perfect budget duo! Antipodes Skin Brightening Finishing Powder & Zoeva Powder Brush: Finishing powders should be an invisible shield which sets makeup, so a light application is essential. I use the Antipodes Finishing Powder with my Zoeva Powder Brush from the Rose Golden set as not only is it silky soft, but it doesn’t load up with too much product, and even when I tap excess off, I get the right amount for a light dusting over my skin. Too Faced Primed & Poreless & Real Techniques Bold Metals Arched Powder Brush: The Too Faced pressed powder smoothes away pores and fine lines giving skin a flawless finish, but as a pressed powder it can be a little harder to create a soft application. I’ve been applying it with the RT Arched Powder brush which has a domed cut meaning you can have lots of control over how much product you pick up and apply. What are your perfect pairs?